When we visited Australia’s Red Centre, the Optus phone tower had just been fire bombed. In all honesty, trying to watch the sunset with our kids was hell, hence no family shots. But it was worth it. I was scared I wouldn’t feel anything in its presence, but it is hard to escape its magic – even when you have three feral children screaming at you. Remi gave the kids a bath in the sink (to contain them) so I could duck out and take these photographs. Exploring Uluru up close over the next few days was even more incredible. As was walking at Kata Tjuta (formerly known as The Olgas). I will share more photos, especially the close ups, as soon as I locate my missing CompactFlash stick! 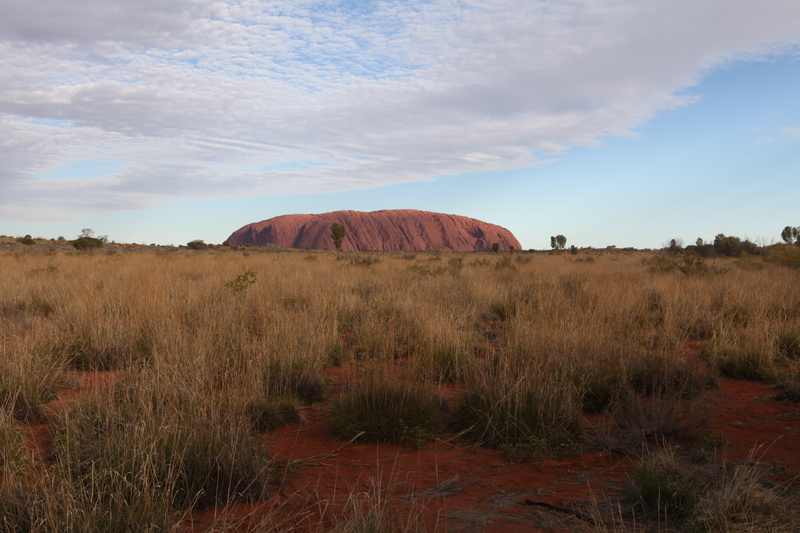 In the meantime, enjoy the sight of the first Airstream to lay eyes on Uluru! You’re doing a fabulous job of keeping the world informed of your adventures, thanks for the reporting and the pictures – well done. Just in case you haven’t noticed, there is a certain similarity between the Airstream and Uluru. What’s the Aboriginal word for Airstream? Beautiful pictures, we’d love to camp in Australia someday.